6. 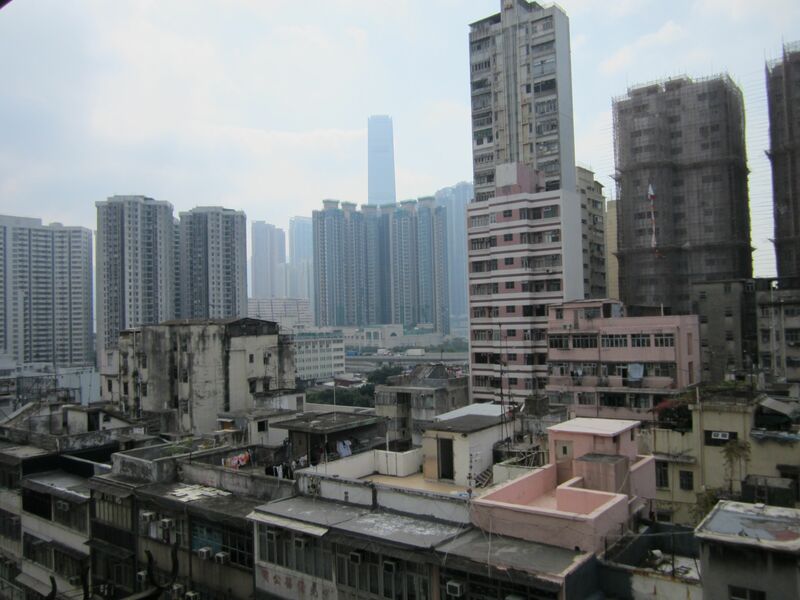 Hong Kong began reclaiming land in the mid-ninteenth century. And now, it has successfully reclaimed hundreds of acres including the new airport, Disneyland resort and everything west of my apartment. (Possibly even my street, can’t tell from the map). 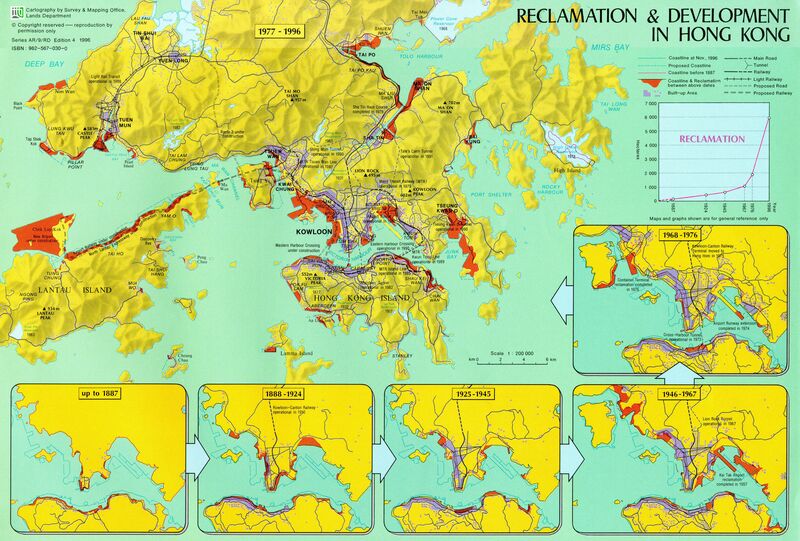 Here is a map from 1996: Everything in purple and red is reclaimed land. For some context, here’s the view outside my bedroom window. Those skyscrapers are all built on reclaimed land. November 5, 2012 in Uncategorized.